Their 2018 opener against the Cardinals is the eighth opener vs. St. Louis, tying them with the Expos/Nationals and the Phillies. Seven times the Mets have opened against the Cubs and Pirates, also former NL East rivals, along with the Cards. Since the 1995 realignment, the leaders are: Braves and Marlins (four times each); Nationals and Cardinals (three); Cubs, Reds, Padres (twice each); Phillies, Pirates, Rockies, Royals (once each). Among National League teams, the Mets have never opened against the Diamondbacks or Brewers, and they’ve only opened against the Dodgers and Giants once. In 2015 and ’16, the Mets opened in Washington and Kansas City, the first time they’ve opened a season in either city. 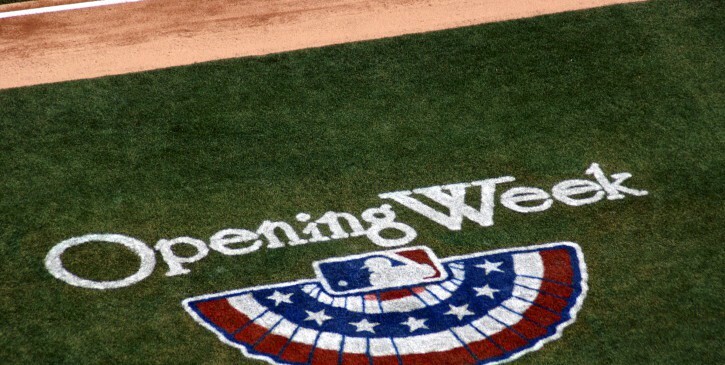 Those two straight seasons opening on the road came after hosting Opening Day for three years in a row. The Mets have opened in New York 30 times and on the road 27 times in their 57 seasons. After New York, Chicago is the city in which the Mets have opened a season most frequently — four times — but the last was in 1994. Cincinnati (last in 2009), Miami (2011), Philadelphia (1982) and St. Louis (2007) are next with three each. The Mets last spent Opening Day in Atlanta in 2004, in Denver in 1995, in Pittsburgh in 1986, in San Diego in 1997, and in San Francisco in 1968. They opened the 2000 season in Tokyo, which I’m not counting as a home game even though it was credited as such for the Mets. They have never opened in Milwaukee (only in the NL since 1998), Phoenix (only in baseball since 1998) or, curiously, Los Angeles. The longest streak of opening a season either at home or on the road is three years. David Wright‘s streak of 12 Opening Day starts set a new Mets record in 2016, but it came to an end when he opened 2017 on the disabled list while trying to rebuild strength in his throwing shoulder. The previous mark was shared by Tom Seaver and Bud Harrelson. Wright started all 12 consecutively, passing Harrelson’s mark of 11 in a row. Assuming they start in 2018, Yoenis Cespedes and Asdrubal Cabrera will share the longest active streak, with three consecutive starts. Noah Syndergaard will be the first back-to-back Opening Day starter since Johan Santana started three in a row from 2008-10. If he starts at catcher, Travis d’Arnaud will have started four of the last five Mets openers, the most since Mike Piazza started seven straight from 1999-2005. Santana (2008-10, 2012) and Tom Glavine (2003-04, 2006-07) share the most starts by a left-handed pitcher in Mets history. Michael Conforto is the only Met to start at designated hitter on Opening Day. Records by position … SP: Seaver (11), C: Jerry Grote (9), 1B: Keith Hernandez (6), 2B: Felix Millan (5): 3B: Wright (12), SS: Harrelson (11), LF: Cleon Jones & Kevin McReynolds (6 each); CF: Mookie Wilson (6); RF: Darryl Strawberry (7).